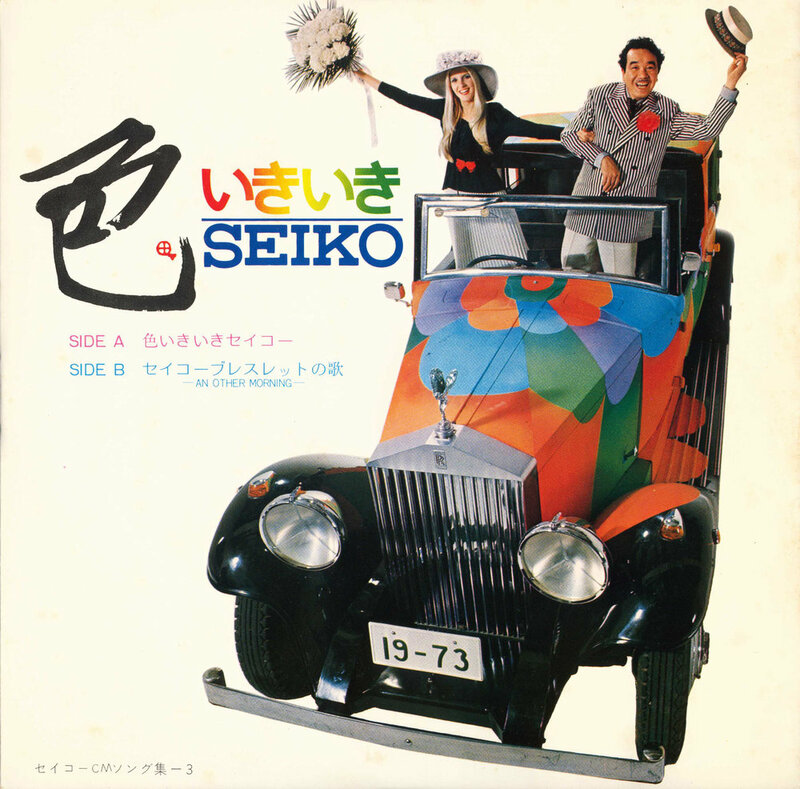 Another promotional record from Seiko is this single “Color Lively Seiko”. I have previously detailed a similar item with the promotional record Rah! Rah! Seiko. The record has two tracks with the title track on side A as expected. The first track “Color Lively Seiko” is sung by Kimiko Kasai and was composed by Asei Kobayashi. The second track is titled An Other Morning and is performed by Anna Kurusu. This track was also composed by Asei Kobayashi. The track has a secondary title that is written as セイコーブレスレットの歌 the “Seiko Bracelet Song”. There seems to be no other reference to this in the lyrics that are actually in English. Asei Kobayashi composed both of the tracks on this record and he was also responsible for two of the tracks on the promotional record Rah! Rah! Seiko, so it would appear that he had a close working relationship with Seiko. There is a Seiko logo on the front and rear covers and the record is marked as being released by Seiko Hattori Watch Shop and being not for sale but a promotional item. The record is produced by Shiba Productions Ltd. There is no specific date on the album but the licence plate on the cover indicates this was from 1973 and that would place it just after Rah! Rah! Seiko.